The art deco era, spanning over two decades, influenced design internationally — and vehicles were beneficiaries of this arty approach to industry. So much of what was built in the ’20s, ’30s and ’40s now only exists in the hallowed halls of museums and collectors’ garages as we drool upon this glorious motoring past. Designed by none other than Ferdinand Porsche, the SSK was not just a fine example of art deco influence but an eminently capable racing car that performed and made podium. 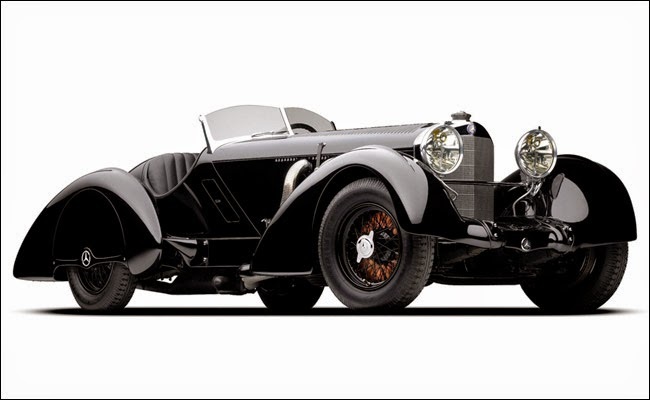 The supercharged engine with 500 lb-ft of torque rocked the SSK to 120 mph, making it the world’s fastest car in 1930. It went on to win numerous races such as the German Grand Prix and the Mille Miglia. Ferdinand went on to a somewhat illustrious automotive career. A rare restored SSK, called the Count Trossi, was a Best of Show winner at no fewer than two Concours D’Elegance shows and is owned by none other than Ralph Lauren. Oh, Ralph. Must you have everything? Gabriel Voisin, a French aviation pioneer and car builder was a true revolutionary in the automotive world in the 1930s, building the beautiful and pricey Voisin C27 Aerosport mostly out of aluminum, with a stunning mosaic art deco interior and innovations such as a vacuum-operated sliding glass roof that also doubled as a rear window. It belted out 104 hp from its 3.0-liter engine and could top out at an impressive 93 mph. Voisin built it on borrowed funds and went nearly broke in order to bring his cars to the market. Sound familiar, Citroën? Originally the Eckhart Carriage Company, the Auburn Automobile Company was founded in Auburn, Indiana at the turn of the century. 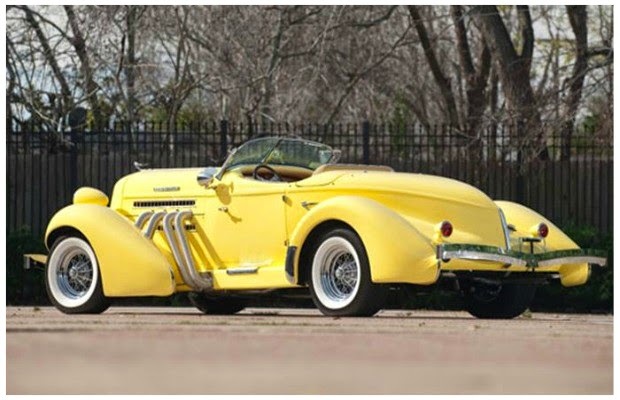 When they created the "Boattail" speedster, an American icon was born that is a cherished piece nearly a century later. There is an art deco museum in Indiana, the Auburn Cord Duesenberg Automobile Museum, that is recognized as a historic landmark to honor the three major car companies of the day, which are all featured throughout this list. Cord was an American car company manufactured at the Auburn Automobile Company in Indiana, founded and run by E.L. Cord. The 810 caused a frenzy when it debuted at the 1935 New York Auto Show, where Cord was immediately overwhelmed with orders. But production couldn't keep up with demand along with "mechanical trouble." 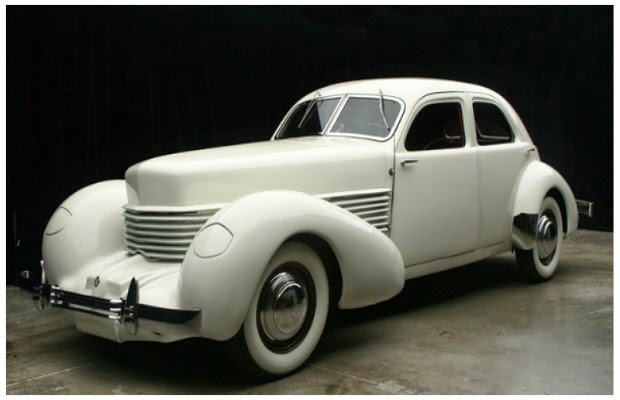 Cord redeemed his reputation in 1937 with the now supercharged 812, which was easily distinguished by the awesome chrome-plated exhaust pipes pouring out either side of the hood. This world-famous stunner actually coined the phrase "suped-up", a common term now embedded in the jargon of every avid hot-rodder and 21st century tuners alike. Production ceased in 1937 after about 3,000 cars were made, but Cord's demise wasn't too unfortunate for him, as he moved to Nevada to make millions in real estate. And by Nevada, we mean Vegas. The supercharged coupe with it's globally recognized "coffin-nose" is by far one of the most iconic cars of the era, an excellent contribution to art deco's golden age. 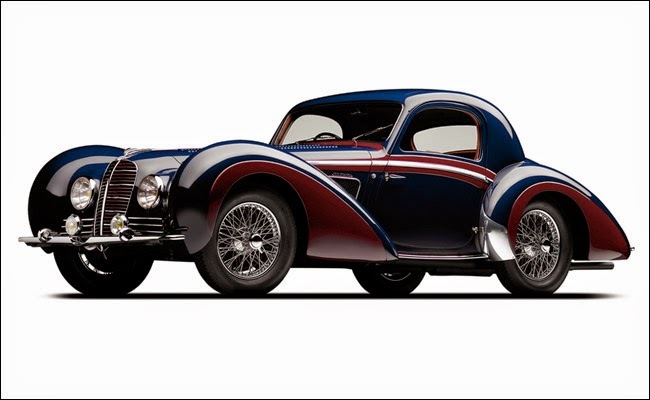 French car maker Delahaye left its strong design impression on the world of art deco style cars. 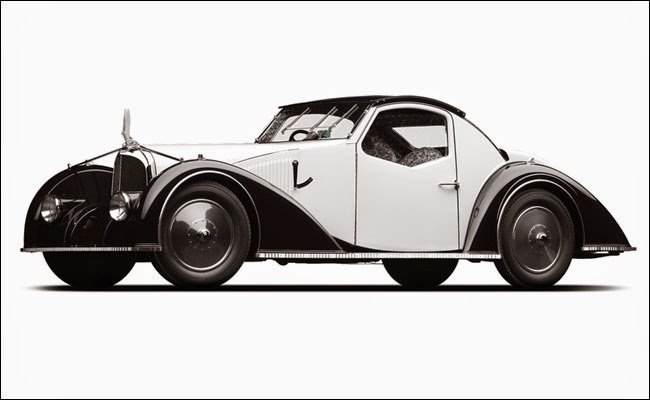 The 145 Chapron Coupe is one of the more subtle, but still stunning models, and only a scant two were built.